Gviflow- Highest Quality Fire Pump Test Meters : Global Vision Inc. Global Vision, provides only the highest quality. 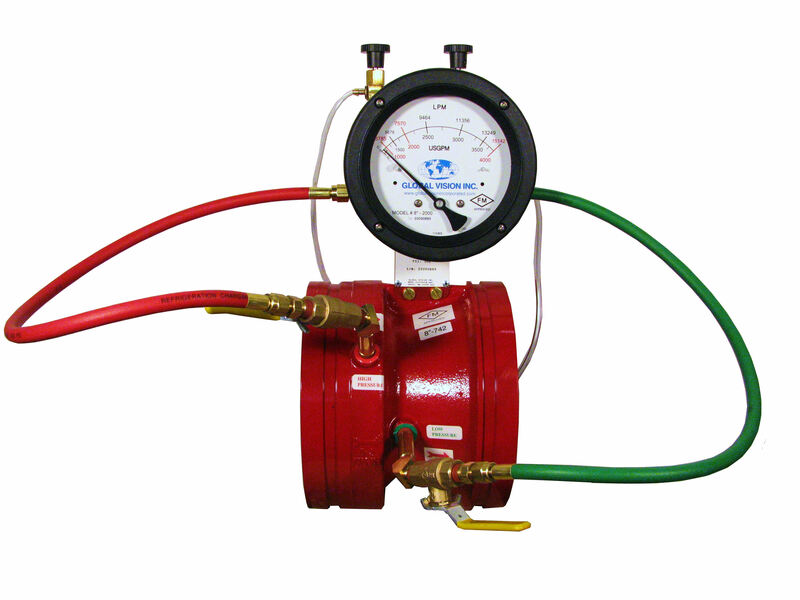 Fire Pump Test Meters and accessories around the world. For any questions regarding the NIST calibration process, or detailed information please watch the following video HERE. The official FM report is final. The new venturi design and Digital Gauge w/ 4-20ma transmitter is now FULLY FM Approved from 2″-12″ line sizes. UL has completed testing on the following line sizes and both analog and digtal will be UL Listed: 2″, 2.5″, 4″, 6″ and 8″. We are still waiting on following to be completed 3″, 5″, 10″ and 12″. Currently over half the GVI line is now FM/UL. The United States patent office has reviewed and accepted the newly designed GVI venturi patent application. This mean GVI now offers a Patented venturi design that reduces friction loss, has less cavitation, no bounce, and accuracy of 0.5%. NEW VENTURI DAY HAS ARRIVED!!!! Starting June 1st, 2016 all Venturi’s shipped from GVI will be the new SUPER ACCURATE Patent Pending design. See the video listed below for a look at the new results. And all meters shipping after today will look just as good. This is a huge day for the industry! We know from the flow curves and data that the new Patent Pending venturi design from GVI is outstanding. But we wanted to see the results in action. We shipped a box off our shelves to a certified lab for installation and testing. GVI was NOT running this test, nor even onsite. These are the results. Click here!